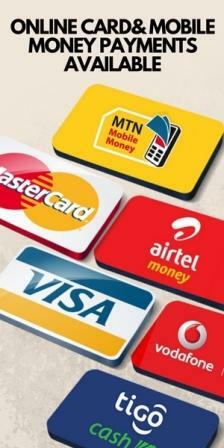 We accept online mobile money payment options with the following networks: MTN, AIRTEL, TIGO & VODAFONE. When you get to the checkout, select on the Mobile Money payment option. You will be redirected to a page to provide your mobile money details for us to accept payment and prepare the item(s) you are purchasing for you.